Country Summary: During 2016, Pakistan did not adhere to any protocols with respect to international parental child abduction. While Pakistan acceded to the Convention in 2016, it is not a treaty partner with the United States. As a result, there is no formal mechanism for resolving cases under the Convention at this time. Pakistan was cited for non-compliance in the 2015 and 2016 reports. 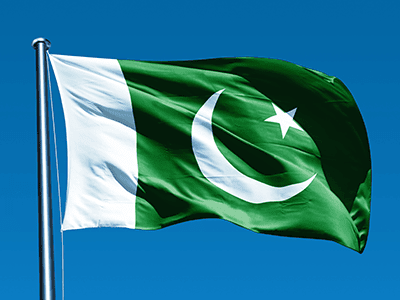 Significant Developments: In December 2016, Pakistan acceded to the Hague Abduction Convention, and the Convention entered into force on March 1, 2017. The United States is engaged in discussions with the Pakistan government regarding partnering under the Convention. Central Authority: The United States and the competent authorities in Pakistan had regular and productive discussions on the best ways to resolve pending abduction cases under Pakistani law, and the Pakistani government took steps to resolve such cases. Voluntary Resolution: In 2016, three abduction cases were resolved through voluntary means. Location: The Department of State did not request assistance with location from the Pakistani authorities. Judicial Authorities: The United States is not aware of any abduction cases brought before the Pakistani judiciary in 2016. Enforcement: Custody decisions made by Pakistani courts were generally enforced in a timely manner. Department Recommendations: The Department will continue to engage with Pakistani government officials regarding potential partnership. The Department also recommends an emphasis on preventing abductions.